Get more out of your noodles and hoops. 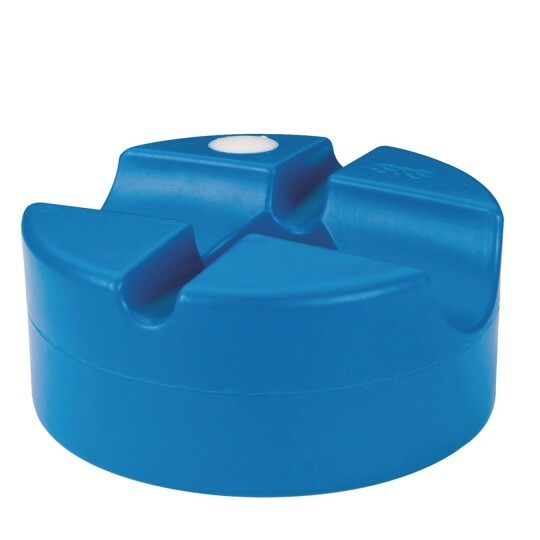 Sturdy bases let you create all kinds of challenges. 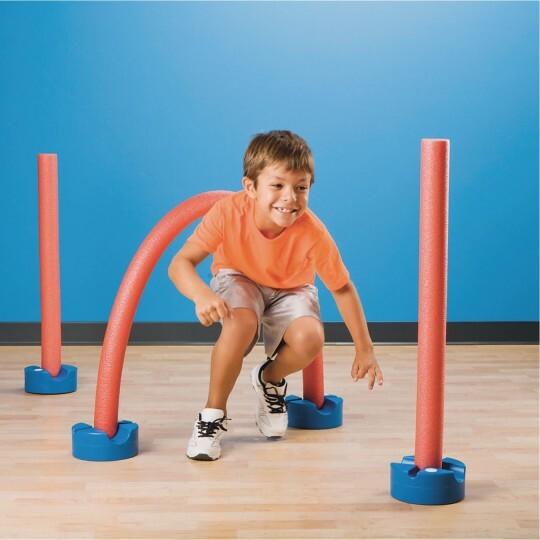 Make noodle arches, slalom poles, hoop targets & more! Weighed with sand, perfect for use with noodles and hoops. Get more out of your noodles and hoops. Our sturdy bases let you create noodle arches, slalom poles, hurdles, hoops targets and obstacles! Weigh them with sand and work with 2-3/8" to 2-1/2"-diameter noodles and hoops with 0.85" cross-sectional diameters like our Super and No-Knott™ Hoops. Set includes six 7"-diameter x 3"H bases and instructions. 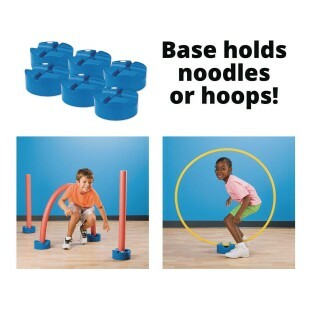 Noodles and hoops sold separately. 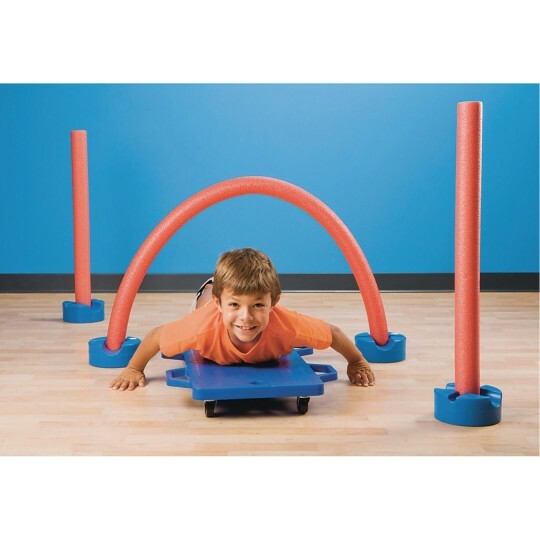 We used this for our outdoor obstacle course with the hula hoops noodles...worked out great. No outdoor playspace? No problem! Bought these to use for VBS. These bases work well with pool noodles. I still can't figure out how to get the hula hoops to stand up in the bases. 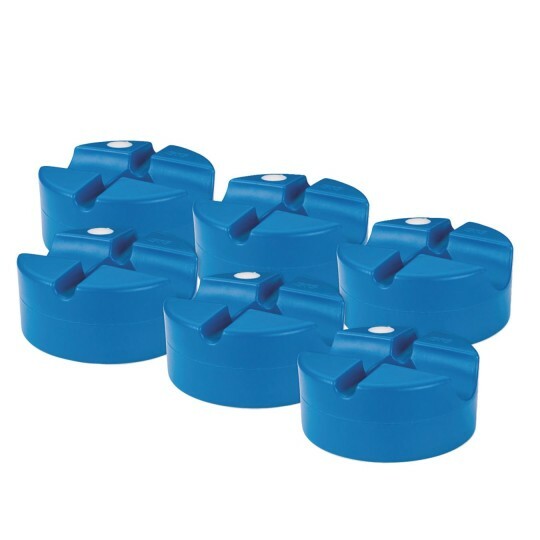 This product was just what we needed for our camp for individuals with special needs. We used them for folf and to outline and obstacle course. 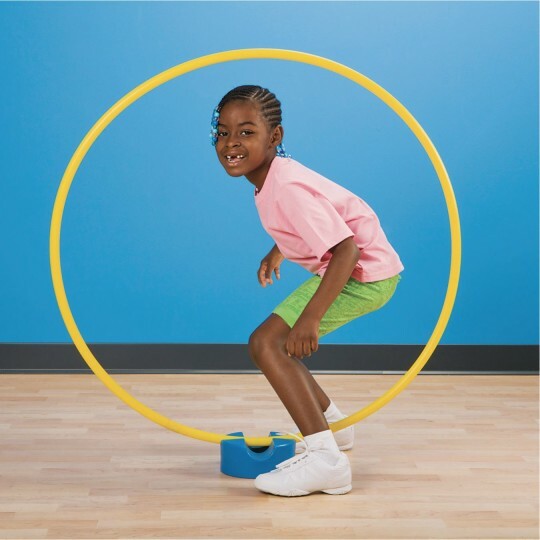 These are great to use with Hula hoops make sure hoops are large thick ones in obstacle courses. However I filled bases with water as instructed and ended up having to go back and glue seals because they leaked. Several still leak a little but I know to keep them upright and it works.